An apprenticeship is a job with an accompanying skills development programme designed by employers in the sector. It allows the apprentice to gain technical knowledge and real practical experience, along with functional and personal skills required for their immediate job and future career. These are acquired through a mix of learning in the workplace, formal off the job training and the opportunity to practice and embed new skills in a real work context. This broader mix differentiates the apprenticeship experience from training delivered to meet narrowly focused job needs. All apprentices commencing their apprenticeship must have an Apprenticeship Agreement between the employer and the apprentice plus a salary of at least the minimum level set by the government at the time.This can be used to reinforce the understanding of the requirements of the apprenticeship. On completion of the apprenticeship the apprentice must be able to undertake the full range of duties, in the range of circumstances appropriate to the job, confidently and competently to the standard set by the industry. FBHVC was instrumental in introducing a classic vehicle restoration course in 2013 under the governments framework for apprentices. Since then the course has been taught at Banbury and Bicester College. The old frameworks have now been replaced with Apprenticeship Standards and we have now completed the work to register for a new standard for Heritage Engineering. In addition to apprenticeships for classic vehicles this new standard also includes for Heritage Aviation, Heritage Marine and Heritage Steam. All apprentices undertaking an apprenticeship in any of these sectors will become a Heritage Engineering Technician when they successfully complete the training. This new standard was approved in September 2018 and has a funding band of £26000 allocated to it. It is this standard that will now be taught to all apprentices starting a Heritage Engineering apprenticeship from September 2018. Heritage Engineering Technicians perform a vital role in the preservation, restoration, remanufacture, service and repair of historic UK and International engineering achievements. 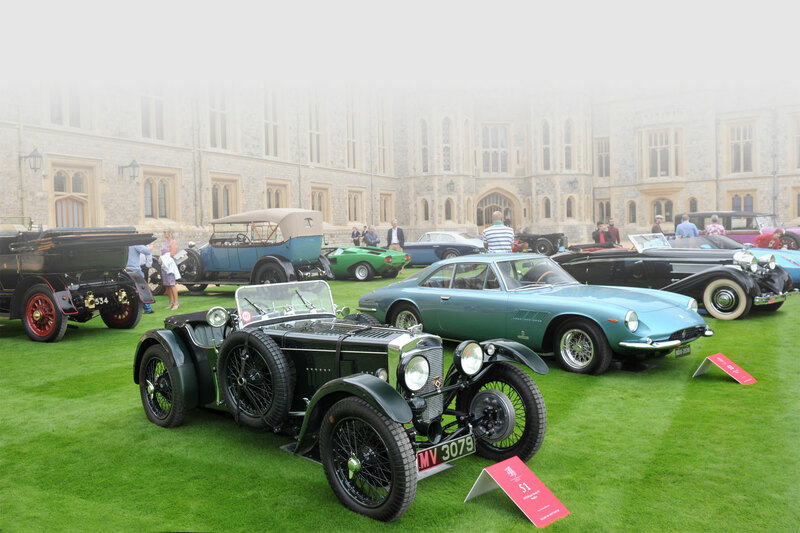 The range of heritage sectors include veteran, vintage and classic; agricultural engineering, aviation, bus and coach, commercial vehicle, marine, military vehicle, motor cycle, motor vehicle and steam, working in organisations as diverse as Global Manufacturers, Museums and small operators to small voluntary groups and individual owners. Is there more detail on the Heritage Engineering Technician Standard? Below are the two documents from the Institute for Apprenticeships. The first document is the detail behind the standard and the second document is the End Point Assessment which details the content of the course. These are available on the Institute of Apprenticeships website under Heritage Engineering Technician ST0571 if you want to download from there. Where is the Heritage Engineering Apprenticeship Course being taught? At present the course has started at Bicester Heritage in a unit that has been rented by FBHVC. The course is being run for classic vehicles at present and the training provider is the Heritage Skills Academy. Below are the three documents that relate to the Heritage Skills Academy and they include a guide to taking an apprenticeship, the classic vehicle apprenticeship courses and the details of where to apply.